December is a quick month for teachers across the country as they try to squeeze in learning between the Thanksgiving and Christmas holidays. Changing up the bulletin board to incorporate some timely lesson reinforcement is a great way to make learning come alive during this busy month. Reinforce the idea of animal adaptations during the cold winter months by creating a fun and interactive bulletin board. 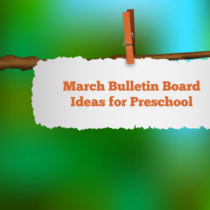 Divide the board into three sections and label them “Hibernate,” “Adapt,” and “Migrate.” Have a file folder attached to the bulletin board that contains different animals. Students then use sticky tack or tape to hang the animals under the correct column. When they are finished, they can either self-check using an answer key, or you can check their work for them. Create a bulletin board using oversized tangram shapes to reinforce the concept of spatial relations. Begin by covering the board in a solid color fabric or paper. Have a set of pictures, created from tangrams, on index cards that have been threaded through a jump-ring. Students pick a card displaying a picture that they would like to make and use the oversized tangrams to create the object. If possible, coordinate the colors of the shapes on the cards to the colors available for the oversized tangrams. Use this as a math center or a free-time center depending on your scheduling needs.